It is not yet clear whether Mamelodi Sundowns will lift the trophy, but one thing is certain: the Pretoria team has made a big impact in this edition of the 2019 Total CAF Champions League. Al Ahly saw a lot of yellow and blue in this quarter-final. Proof that the afternoon was going to be long for the Egyptians, after 14 minutes, Zwane was at the reception of a low cross (1-0). Ten minutes later, the Egyptian defense was punctured again with a free kick. In a similar scenario to the first goal, Arendse gave El Shenawy (2-0) no chance. The latter was responsible for a penalty against his team in the second half of the game. Nascimento transforms without flinching (3-0). Fifteen minutes later, Sirino took advantage of a scramble in the Reds' defense (4-0). Egypt's ordeal ended with a brilliant counterattack by Mahlambi (5-0). The South Africans can look forward to the return match in Cairo with confidence. In Conakry, spectators are still amazed by Horoya's 0-0 draw with Wydad of Casablanca. Two contentious actions in the box, including a Moroccan hand, could probably have found a more timely end. That is not the case and this parity score means that it will take "determination" in a week's time at Wydad, as Guinean coach Didier Gomes Da Rosa hopes. 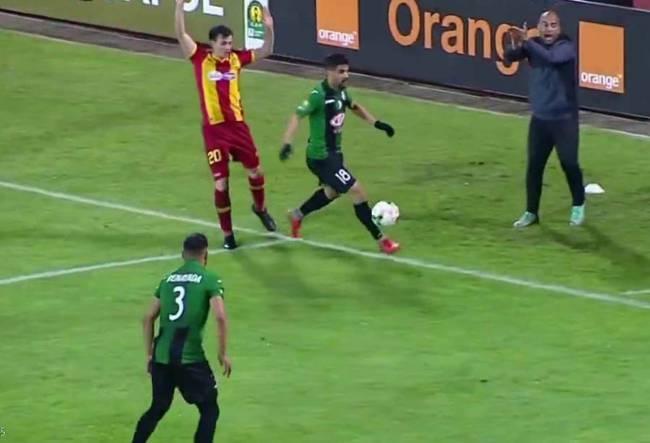 A precious victory for Esperance Tunis, in Algeria, on the CS Constantine pitch. With a generous penalty from the fifth minute, the Tunisians opened the scoring thanks to Youssef Belaili. At the beginning of the second half, Fousseny Coulibaly took advantage of a game of pool in the Algerian penalty area to score the second goal of the EST. Constantine reacted immediately and Adil Djabout shot the Tunisian keeper with a heavy blow. Constantine thought they had done the hardest job by equalizing from a corner thanks to Yetou's header. Unfortunately for the evening hosts, three minutes later, forgotten alone in the penalty area, Yaakoubi gave the Tunisians the victory.